I hope I find you readers well, and I hope this stays just between us. As much as I like my places to stay the same, my mama always taught me that “Sharing is Caring”. I shared my only toy, a plastic green soldier with my friends, including the friend who introduced me to cigarettes at the coming of age 5 (I quit when I turned 6, and swore off cigarettes forever. True story). Up until three months ago or so my go-to Ramen spot has been the Totto branch on 51st/10th, right across the Falafel Nazi Azuri Cafe. 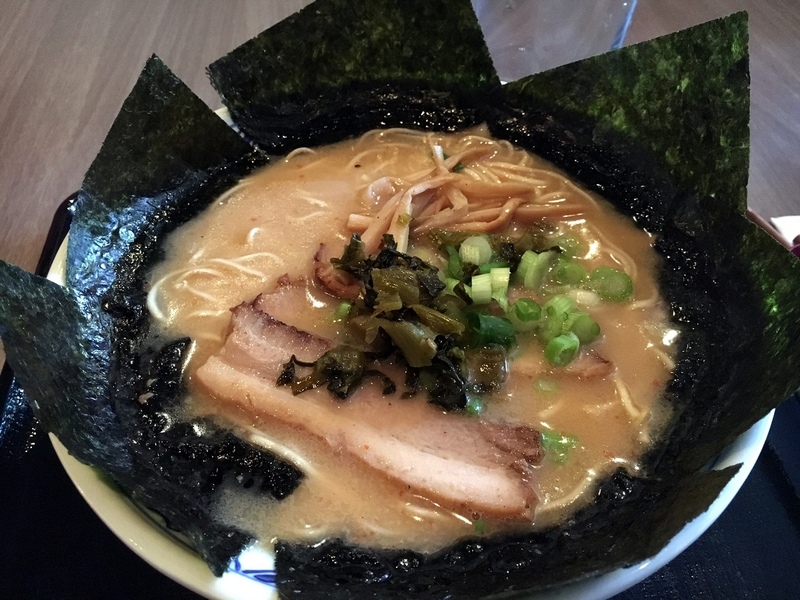 After over a dozen visits to Totto, with the occasional cheating with the great Ippudo Akamaru and Ivan, I’ve gone exploring yet again for that great Ramen bowl in the Kitchen of Hell. Enter little Mentoku on 9th ave.
Mentoku is not your prototypical Hell’s Kitchen Ramen that is buzzy, with the occasional painful waits, less than comfortable seating, and quick eat. You can actually spend more than 5 minutes here while enjoying soft Jazz. There’s one cook, and there’s usually one or two waitresses running the “front”. And more importantly, I have never seen the place too full to enjoy. 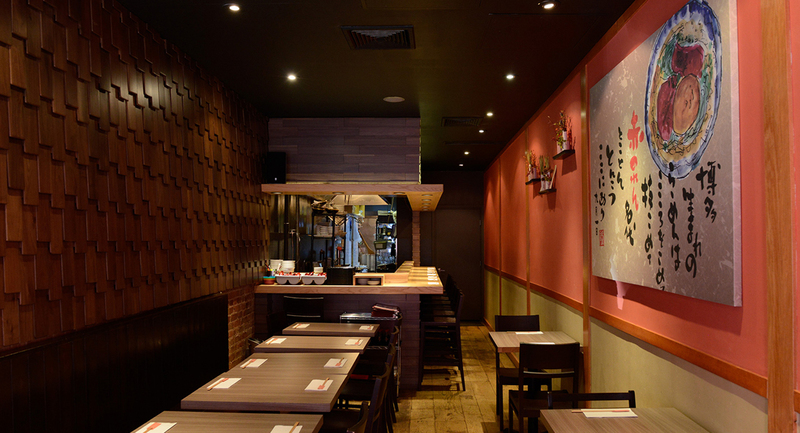 Whether by myself at the counter, or with co-workers, every visit has been comfortable and relaxing, a rarity in NYC Ramen world. “Akanoren” is proudly displayed on the sign outside, and according to this blogger, its a Ramen chain in Japan. 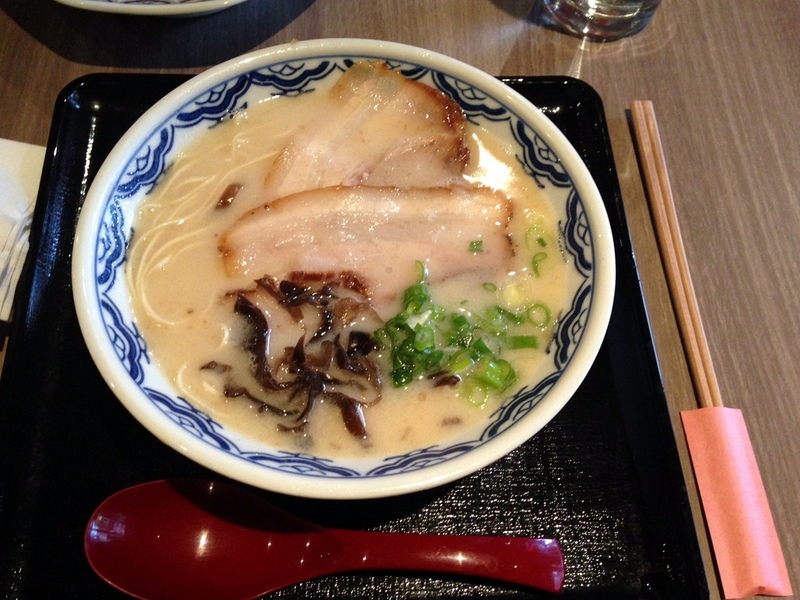 The specialty here is Hakata style Tokotsu Ramen, where the pork is slowly cooked at high temperatures. This means the meat and the fat dissolves into the soup more, creating a rich, but smooth base. Meaning its rich, but not one of those super rich, guilt-filled bowls that makes you want to start smoking again as you declare this day the beginning of the end of your life. You coming out of there feeling good, which to me is what Ramen is all about. I started my relationship with Mentoku with the mild and pleasant Tinkichi, but its the Yuzu-Kosho that does it for me now. The hot Yuzu paste delivers an initial punch but settles down nicely into a very pleasant bowl. The Nori surrounding the bowl adds a nice fishy element as you smell it with each morsel, and the thin cut chashu is the way to go as far the pork belly goes. I feel that some of the other guys slice them a little too thick. 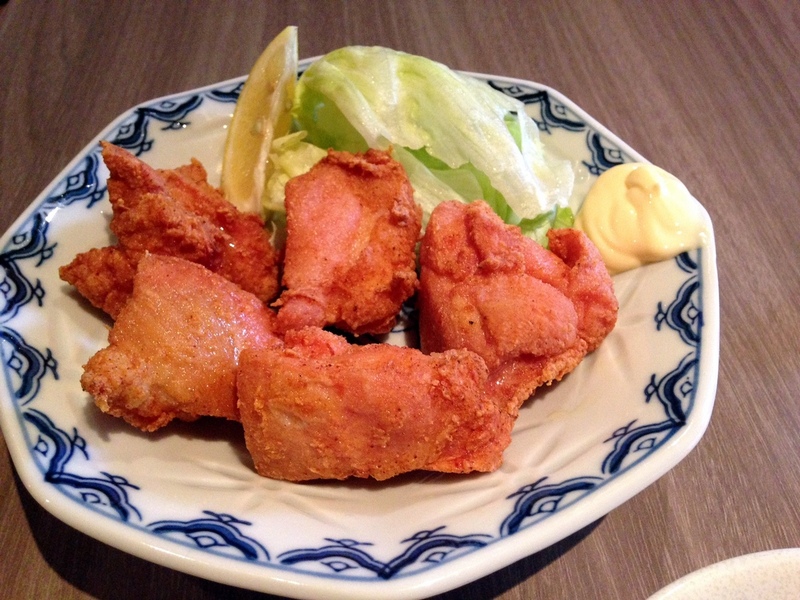 Another big hit at Mentoku is their simple but incredibly juicy and flavorful fried chicken. Mentoku will be added to the Survival Guide, while we say goodbye to short-lived Mocu Mocu. Oh how I hoped the sisters succeed, but was always afraid that Hell’s Kitchen, and in particular that corner of 10th Ave, is simply not ready for this kind of Japanese.